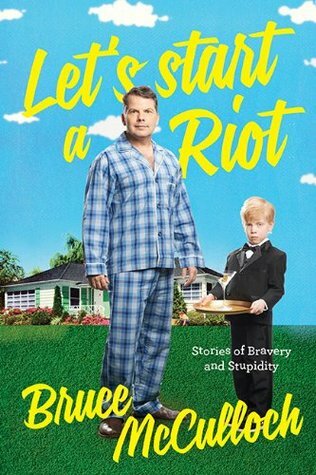 From Goodreads ~ Comedian, writer, director and legendary Kid in the Hall Bruce McCulloch chronicles his journey from wild early days as a ‘young punk’ in 80s Alberta, to his flannel plaid days and futon nights in 90's Toronto, to becoming a ‘pajama-clad dad’ living in the Hollywood Hills. From scowling teenager to father of two, this biting, funny collection of personal stories, peppered with moments of surprising poignancy, proves that although this infamous Kid may be all grown up, his singular brand of humor and signature wit remain firmly intact. 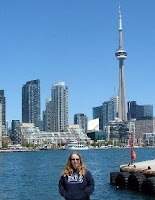 I was a fan of Kids in the Hall and watched their show in the late 80s/early 90s ... I went to their 2015 tour in April at the Danforth Music Hall. Bruce McCulloch is one of the five Kids and that's why this book caught my eye. This is his high level story of growing up in Edmonton, trying to figure out what he wanted to do with his life, moving to Toronto and forming Kids in the Hall, meeting and marrying his wife, having kids, and his life in Hollywood. I liked the writing style ... I found it amusing. I could hear Bruce's voice when he was telling his stories. Obviously his funny stories are funny but he also tells his more serious stories (like his relationships with his parents, suspecting he has liver cancer, Scott Thompson's cancer, etc.) in a funny and sarcastic yet at times caring way. As a head's up, there is swearing and adult activity. I have Bruce's album Shame-Based Man on my ipod and occasionally listen to it (I bought it originally on cassette when it came out in 1995). In the book there are references to Daves I Know and The Vigil (What are you going to wear to the vigil? Black, of course!). If you are a Kids in the Hall fan, you'll enjoy this book.